Jeanshorts And Baggedmilk: Should The Oilers Trade For Kevin Shattenkirk? 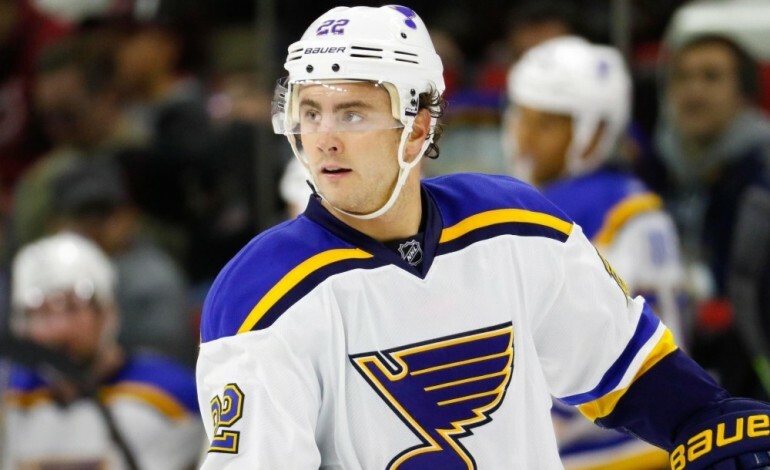 Should The Oilers Trade For Kevin Shattenkirk? It’s that time of year again, just over a month away from the second most overhyped day of the year: NHL Trade Deadline Day®. This year feels different though, because for the first time since the mid-90’s the Oilers are being brought up in conversation as a team that may be looking to bolster their roster for a playoff run with a high priced rental! If the name Kevin Shattenkirk sounds familiar it’s probably because he looks exactly like your high school gym teacher. Or it may also be because his name was thrown around in connection with the Oilers quite a bit last year. He and Travis Hamonic were the two names at the top of the “Players The Oilers Will Probably Overpay For Via A Trade” list last year, and I personally had Shattenkrik at the top of my list of D-men I’d like to see the Oilers acquire. He’s not there this year, however. Let’s back it up a little bit, and remember the reservations a lot of people had last year about trading for Shattenkirk, and one of the reasons we aren’t watching Taylor Hall wear a Blues jersey this year; he’s a UFA at the end of this season, and there were numerous reports that not only was it unlikely he would re-sign a long-term deal with Edmonton, but that he wanted to play in the Eastern conference. And yet it appears all of those reservations have completely washed away this year for some reason. There’s a 100% chance he didn’t want to sign a long-term deal with the sad sack Oilers who had finished second last in the league (AGAIN) and who had just missed the playoffs for the 10th consecutive year. And it’s plausible The McDavid Effect® combined with seeing the progression the team has made this year has changed his mind, and made Edmonton a more palatable destination. But that still seems like a huge gamble, and I’m not convinced the Oilers are in a place where they can afford to take that gamble. However, the more likely scenario is the Blues are in no huge rush to trade away one of their best defensemen as they get ready to load up for what they hope will be a deep playoff run. It feels like it would take a pretty hefty package to get Rutherford to think about it; something like, OH I DON’T KNOW, a good, young centerman signed to a fairly reasonable contract for the next four years? To me that seems like A LOT to give up for a guy who more than likely won’t even be on your team come training camp next September. And now comes the part that forces everyone to start throwing rotten fruit at me; I don’t think the Oilers make it out of the first round of the playoffs. THERE, I SAID IT! The Oilers will make the playoffs this year (barring some sort of unforeseen catastrophe) but I don’t feel confident calling them a legitimate Cup contender. I think they’ve taken full advantage of a hilariously inept Pacific Division this year, which is great, and they’re reaping the benefits of packing away 15 points in their first ten games, which is also great. But who do you see them beating in a 7 game playoff series? As of right now Minnesota, Chicago, St. Louis, San Jose, Anaheim, Calgary and LA would join Edmonton in the playoffs. Can you see them beating ANY of those teams other than maybe Calgary? And if Calgary ends up falling out of the race (which is likely) they’d probably be replaced with Nashville or Dallas. Maybe I’m being overly pessimistic but I just don’t see a scenario in which the Oilers pull an ’06 and shock the world on their way to a deep run. Having a player like Shattenkirk would undoubtably turn the Oilers D-corps into arguably the best group they’ve had since Chris Pronger strolled into town (if not even better), but even with that I think there are still too many gaps in the roster to consider them a legitimate Stanley Cup threat. This is not the year to make a big move at the deadline in hopes of seeing Connor McDavid press his perfect lips against Lord Stanley. The Oilers playoff window has FINALLY opened, and I personally would rather them look toward keeping that window open for as long as possible, rather than blowing their wad to maybe win two games this year, then having to scramble to fill more holes in the roster in the summer if and when their high-priced deadline acquisition decides he’d rather play in Florida or New York. I would LOVE Kevin Shattenkirk as an Oiler. As I said I had him above Travis Hamonic on my Semi-Realistic Defensemen Wishlist®, and if he were to join the Oilers right now he’d be leading the team in power play points, while also leading the defense in points by 10 (AND HE’S A RIGHT HANDED SHOT). TL;DR he’d automatically be the Oilers number one D-man in a walk. HOWEVER, the risk of him walking to the Penguins or the Rangers or something on July 1st, combined with what I’m assuming would be a pretty pricey package going the other way to acquire him in a trade doesn’t seem like it’s a risk the Oilers should be taking at this point in time.